The 14th Annual Andreu World International Design Contest has opened for entries from young and professional designers around the world. The challenge, as usual, is to design an item of furniture (seat or table) that integrated specifications, outlined by Andreu World. The prize fund for 2014 is 4,000 Euro, of which 3,000 Euro are reserved for the 1st Place winner. The jury will also award up to a maximum of four (4), non-monetary, special mentions. 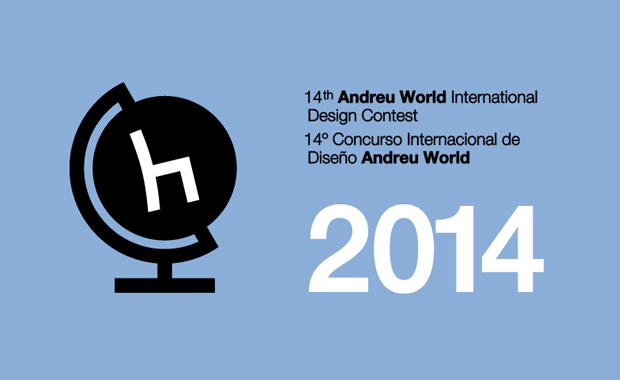 The awards ceremony will be held on December 2014 at the Andreu World installments. All designs presented shall be new, not having been marketed or disclosed prior to the date of the Competition. The Andreu World Design Contest began in 2001, as an intention to revalue the functional and aesthetic importance of a chair. Since then, through successive editions, it has evolved to become an unmistakable event for design and architects on five continents and is known as a landmark for new trends in furniture design.